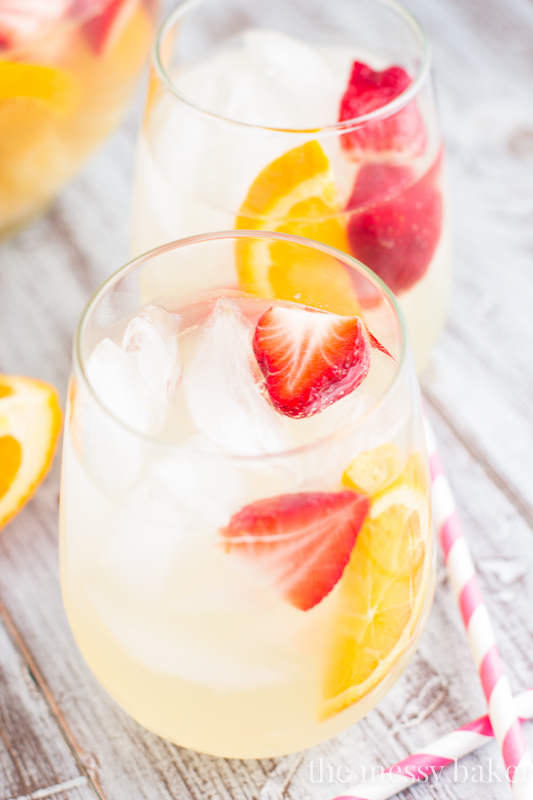 I don't know what your plans are this weekend; but mine include lots of sun, sand, reading, and this delicious pineapple sangria! *happy sigh* Cheers! Add pineapple chunks and juice, strawberries, and oranges to the bottom of a pitcher. Stir in wine, orange juice, and vodka. Refrigerate for at least 2 hours, or until completely chilled. Stir in Sprite right before you're ready to serve.